Reggie is over a year old. 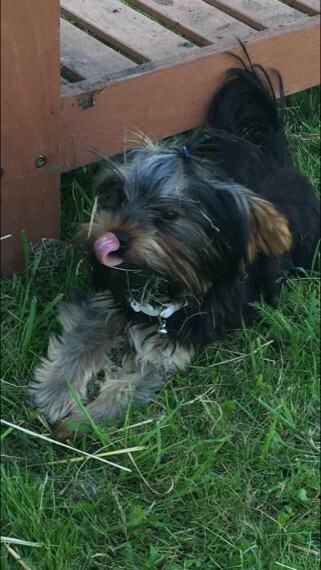 pedigree Yorkie. weighs 2ib. good with kids and other dogs. He can be bought to your house as we have other dogs here.